When buying or selling real estate their are many ways to get a property sold especially when it comes to houses. There are lots of legal creative ways both buyer and seller can agree on to accomplish a win-win situation to get a property sold. One creative way of selling a property in Tucson, AZ is selling real estate Subject To The Existing Mortgage. There are many reasons both buyer and seller would agree to a subject to the existing mortgage transaction. If done correctly it is a great way to buy and sell a Tucson piece of real estate. If done incorrectly it can put both buyer and seller at risk. 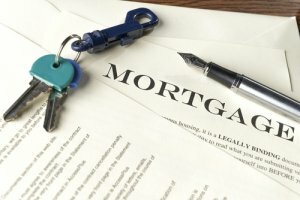 What Is Subject To The Existing Mortgage When Selling Real Estate? Buying a house is expensive and requires the buyer to come up with cash for the sales price or a percentage of the sales price. Plus the buyer is subject to current interest rates from a traditional lender of a private money lender. Cash outlay for the buyer is less making it easier for a buyer to buy the property. Interest rate and monthly payment is typically less because the buyer is not having to borrow the money from a private lender that charges an interest rate in excess of 10% or more. Consequently, the cost to carry the property is less for buyer. Financing is already in place allowing the buyer to close fast and does not require an appraisal or for the loan to be approved by an underwriter. Frees up cash so the buyer has money to fix-up the house. Bad things can happen to good people. Like loss of job or loss of a loved one. Or an unexpected health issue. There are many things in life that can cause financial pressure and make home ownership become a burden. When home ownership becomes a burden often times the up-keep on a home is not done. So now their is stress of paying the mortgage on top off fixing things when needing repair. This is all part of home ownership. 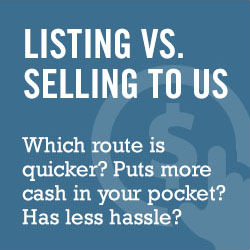 Many times people need to sell a house fast! Sell a house with NO Fees, NO Commissions, NO Closing Cost on the date of their choice. Creative way to get a hard to sell house SOLD FAST! Seller might be able to make a little bit more money when selling their property because buyer might be willing to pay a little more for the home. Upon closing of the property, the seller usually walks away with CASH if there is equity. The seller will get cash in their hand the difference of the agreed upon sales price and the balance of the mortgage. For example: Let say the buyer and seller agree to a sales price of $125,000 and the balance of the mortgage is $100,000. The buyer must come up with the difference at close of escrow putting approximately $25,000 cash in the pocket of the seller. So buy now you depending if you are the buyer or the seller you might be asking yourself “What is the catch and how do I protect myself” if using subject to the existing mortgage as a way to buy or sell a piece of real estate. The due-on-sale clause can potentially be one of the biggest pitfalls. This is a clause in the original loan documents of the seller. In essence, it says that if title is transferred or changes hands, the bank has the right to call the loan due and in full. Keep in mind, I said “right to call the loan,” but the real question is how often do they? We Buy Homes In Tucson has help tons of Tucson homeowners in need of selling their home through Subject To The Existing Mortgage. The longest we have ever held on to a property and kept the mortgage in place has been less than 12 months. We have never had a bank call the loan due in full. We have always made the mortgage payment on-time. We service the mortgage through the escrow company making sure everything is done above board. Getting title work done and title insurance is essential when buying a property Subject To The Existing Mortgage. If you are the seller consult with the escrow offer so you can protect yourself against the buyer not making payments on time. Make sure you also set the mortgage payment up to be serviced through the escrow company so, as the seller, you know the mortgage is being paid on time. As the seller, ask the escrow officer about doing a “mirror wrap” so if the seller does not make the payments you can get your property back. A “mirror wrap” accomplishes the same thing but has better protection for the seller. Making sure the home is insured is essential. Most mortgage payments have in impound account which includes paying the property taxes and home owners insurance when making the mortgage payment. It is best for the seller not to cancel the home owners insurance since it is being paid through the mortgage. If the home owners insurance is canceled it is a trigger to the bank and can cause the bank to investigate triggering the due-on-sale clause and the bank calling for the note to be paid in-full. It is best to keep the current insurance policy in place. It is easier to have all parties named as insured or additional insured on the one policy, including previous and current owners. When selling a property Subject To The Existing Mortgage the mortgage needs to be a conventional loan. If you have an FHA or VA loan you can’t sell your property subject to the existing mortgage. The government loans are very strict about when can be done with an FHA or VA loan and the title companies wont insure the property at the sale if you have an FHA or VA loan. Another thing to be aware of… If you have a Home Equity Line of Credit (HELOC) it will need to be paid off through escrow when selling Subject To The Existing Mortgage. As the buyer, you want the HELOC paid off at closing because with an open line of credit the seller could pull money from the line causing you to have to come in with more money when you paid off the mortgages or line of credit when you go to sell the property or when you agreed to paid of the mortgages. Title companies will usually require HELOC’s to be paid off and close when buying subject to the existing mortgage. There are pros and cons to selling a house, multi family property, land or mobile home through Subject To The Existing Mortgage. Make sure you fully understand what you are doing if you are the seller and have the escrow/title company working in your best interests to protect you. WE BUY HOMES IN TUCSON… If you have a house, some land, or even a mobile home in Tucson, Arizona or anywhere in Arizona and would like a cash offer and a quick easy sale fill out the form below. Or give us a call at 520-533-9298.